Visiting our new children’s library in Little Rock. 1. Start a book club. (duh!) Encourage them to choose the books so they feel more invested and less like it’s assigned homework. 2. Start a book review blog. Each kid takes turns writing a book review and they post it on the site for other kids to see. 4. Throw a book themed party. Send invitations with a free book or a link to the book online and ask kids to read it before coming to the party. Plan games around the theme and have a contest or two. You could even ask them to dress up like their favorite character or choose a side to represent (aka Team Edward/Team Jacob, etc.) Here’s an example of a book party we hosted. 5. Host a book swap and invite kids to bring a book they love to share with friends. Everyone goes home with a new book to read! 6. Organize a writing club to encourage young authors to keep writing what they love. It could be poetry, songwriting, fiction, fan-fic, comics, a mini-magazine, or even a group newspaper. If you’re writing books, try CampNanowrimo. At the young writer’s program website, you can find all kinds of resources to help you teach/lead a group of young writers as they try to tackle the goal of writing a book. 7. Host an open mic night or other reading event where kids can share their creative efforts with others. This would be a great way to end a series of writing lessons or finish up something like Camp Nanowrimo, but it could also be a regular event where kids can share their creative endeavors with other like-minded folks. 8. Remember pen pals? What if you had book pals? You could match up kids from different schools or libraries with similar reading interests and encourage them to swap book ideas and write back and forth with each other about the books they are reading and the characters they love. Then, host an event once in a while where book buddies get to hang out together. Man, now I want a book buddy! These are just 8 ideas for encouraging kids to read more and share their love of books with others. Do you have any great ideas? Please share them with us and then pass this post along to a friend you think might be interested. We’d love to have a long list of fabulous ideas to inspire the kids in our own communities to pick up a book and READ! Rory has no idea what’s going on in the woods behind her house, but it’s driving her crazy. On the last day of her senior year she finds herself caught up once again in the curious happenings of the forest and walks away without any of the answers she was hoping to find. To make matters worse, she is sent to visit a sick neighbor and instead finds the hottest guy she’s ever seen. When she discovers his brother’s incredible secret she falls further into her own chaos and into a fate she never could have imagined. Jaron is just counting the days until the summer is over and he can get back to his real life. Stuck with his little brother on a tiny farm in rural Oklahoma is not exactly his idea of fun. But when Rory shows up on his doorstep with an armload of pie, he knows his summer has just taken a sharp turn into new territory. He never expected the adventure they would discover next or the quest that would change their lives forever. Untraceable by S.R. Johannes is an action-packed suspense for young adults that follows the story of Grace, a teenage girl who is determined to find her missing father. In the forest one day while she is tracking, she runs into trouble and is rescued by a hot guy who turns out to be Mo, a boy who is living in the woods after his own father disappeared. Together they search for clues and sort out a puzzle that turns out to be much bigger than Grace ever imagined. It will be up to her to save the day, but can she count on Mo to help or will this mysterious boy turn out to be more trouble? Mrs. Johannes really draws you in with the suspense and invests well in building these characters so that you just can’t walk away without knowing what happens to Grace and Mo. I couldn’t put it down after the third chapter and the ending will leave you breathless. My daughter is twelve and she loved Untraceable. When she started the book, she seemed hesitant as it’s not really a genre she prefers (we’re more of a fantasy household if you haven’t noticed!) But, the next day she came running in to tell me that she loved it. “I thought it was going to be a modern day Nancy Drew, but it was so much better!” Like me, she found herself unable to put the book down and in the end she didn’t want the story to stop. Her review? “It’s a suspenseful story based on a shocking reality.” I couldn’t agree more and you’ll love every minute of it. Grab a copy today. Right now you can get Untraceable for FREE on Amazon Kindle! Come back Friday for some exciting news about the sequel, Uncontrollable. Open Door by Christine Locke is a paranormal suspense set in the beautifully historic town of Eureka Springs, Arkansas. It follows the story of 16 year old Carin White as she moves to town with her “aunt” to work in the big house aunt Helen has inherited. But strange things start happening and Carin quickly realizes that things are not what they seem at Mallace Mansion. When she finds a family album in the attic, her mother reveals the mysterious truth: she isn’t Carin White. She’s Carin Mallace. I loved this book because it grabbed your attention right from the first page and drew you into the mystery of the house. I could easily envision the setting of the Mallace estate in lovely Eureka Springs. That city has always captured my imagination. It isn’t difficult to become absorbed in this incredible story where the house is as much a character as the people. You’ll keep reading just to know what happens to Carin as her life becomes increasingly more complicated by the mystery surrounding her. There were surprises from the first chapter until the last page. This book is not meant for very young readers as it deals with some intense drama, but teens and adults alike should enjoy it. It’s only 99 cents on Amazon Kindle! Come back on Friday to see what Mrs. Locke has to say about writing. She’s got some fabulous advice for you and explains how she developed her story and The Legacy Series. Until then, you can read what her main character, Carin Mallace, has to say about living at Mallace Mansion by visiting The Legacy of Carin Mallace and reading her diary entries. Don’t forget to grab your copy of the book, too! > Allow me to pretend that I posted this yesterday. I haven’t been feeling well and as I mentioned yesterday, I’ve been in a bit of a writing funk, which has put me behind schedule a bit. However, I just couldn’t wait to tell you about the Island of Fog. I recently read the book, Island of Fog by Keith Robinson. What a thrilling adventure! It tells about a group of families who have moved to a mysterious island, covered constantly by fog. Each family is raising a child on this tiny island and the children grow up wondering about life beyond the fog. What is happening on the mainland? Will they ever return to find out? What caused their parents to move them all here and why won’t they talk about it? Hal Franklin is twelve years old, like the other kids on the island, and he is tired of all the mystery, of all the secrets, and especially of all the fog. When Hal’s friend Robbie discovers a cave where all the fog seems to be coming from, they decide to cover it up with branches. If they can stop the fog, then maybe they might be able to see the mainland, or at the very least, the sun. This starts a dangerous chain of events that include wild and terrifying monsters, hidden secrets, and sudden transformations that leave the children struggling to understand what it’s all about. When a visitor arrives at the island one day and takes over the school house, the children don’t know whether to trust her or fear her. She may hold the key to understanding what is really happening on the Island of Fog or … she may be the one who destroys them all. This book kept me turning pages furiously into the night. Excitement, mystery, secret powers and bizarre monsters. It has everything! I would recommend this book to readers over fourth grade and I just know my kids are going to eat it up. Personally, I don’t know many adults who wouldn’t enjoy this book, too. The ending is a complete surprise (Kudos, Mr. Robinson, on that excellent turn of events, by the way) and I was happy to discover that this was only the first book in an extensive series. Happy news for fans like me who can’t get enough. Happy Friday, Friends! This week we have a special guest among us. On Wednesday I shared with you one of my new favorite books, Into the Flames. Today we are delighted to welcome the author, Jessie Sanders, as our guest. In addition to writing, Jessie is an editor who shares her special skills with new authors to help them improve their fabulous work before it meets the world. Today she shares her thoughts on how to build a better fantasy world. Thanks, Jessie! to develop their worlds in such a way that you could step into it and really live it. want to enter with you. currency your characters will use. the stakes and make the ending more exciting. awry? Why is that what happens? In every scenario, what could possibly go wrong? plot to sit down and really hash out what your world will look like and how it will work. Your readers will thank you, and it’s actually a lot of fun! Did you think I forgot the free book for Friday? Well, to celebrate the release of Jessie Sanders’ first book, her publisher, Consortium Books, is offering one special reader a free copy of Into the Flames. Leave a comment below for a chance to win. Then, on Monday, we’ll announce the lucky reader that gets to take home Into the Flames. 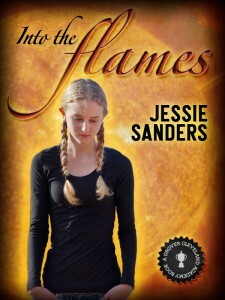 Into the Flames by Jessie Sanders is the beginning of what may be my new favorite series. In this book we are introduced to Rahab, a transfer student at Grover Cleveland Academy, a boarding school in Boston. Quiet and shy, she takes a while to make friends, fearing a repeat of the painful events that sent her running from her last school. When two of the school “freaks” befriend her, she wonders if she should trust them, or if she should avoid them and try harder to be “normal” this time. But soon she discovers that she might have more in common with them than she thought. Can she be a true friend and stand up for them against the bully that torments them? Will Rahab face her fears when her friends need her most? It took me awhile to relate to the main character since she is so guarded with herself, but her friendship with Scout and Hawkins draws you in, revealing more of Rahab, and soon you are cheering for these three. I couldn’t put it down! I am recommending this book “T for teens.” I didn’t see anything in it that my preteen wouldn’t enjoy or even be harmed by, but it is clearly written for a slightly older audience. I just think she’ll enjoy it more when she’s a little older and can relate to the characters better. I finished it with a rush, desperately wishing there was another book to follow it because Sanders really does an incredible job of making you care about her characters. I have so much more I want to say about it, but doing so would spoil the surprise. So, go now and grab a copy for yourself. I downloaded mine for the Kindle app, but you can also find it at B&N’s site and even order a paperback on Amazon. Come back and let us know how you liked it. 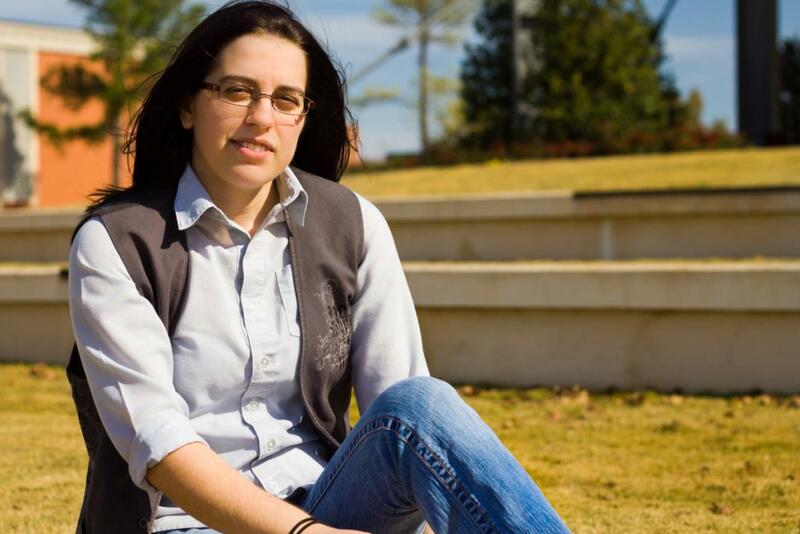 Don’t forget to come back on Friday for a special treat – I have the author, Jessie Sanders, sharing her thoughts on fantasy world building for teens/young adults. You won’t want to miss it!